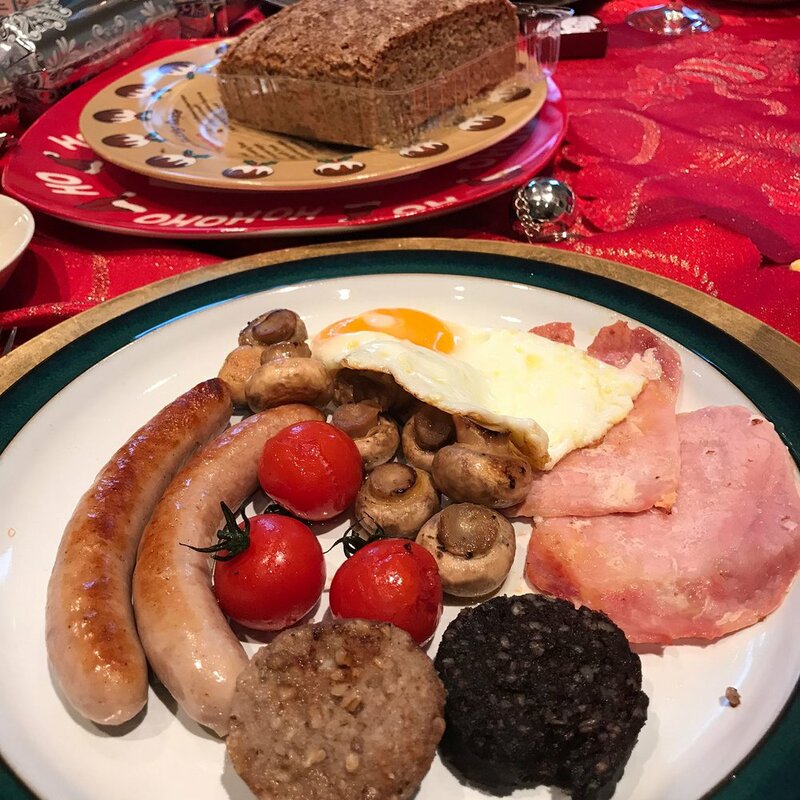 As I go home to Dublin every Christmas, this post isn’t a list of new and fabulous places I visited, but rather a list of the old familiar traditional places I go to every Festive Season. 1. 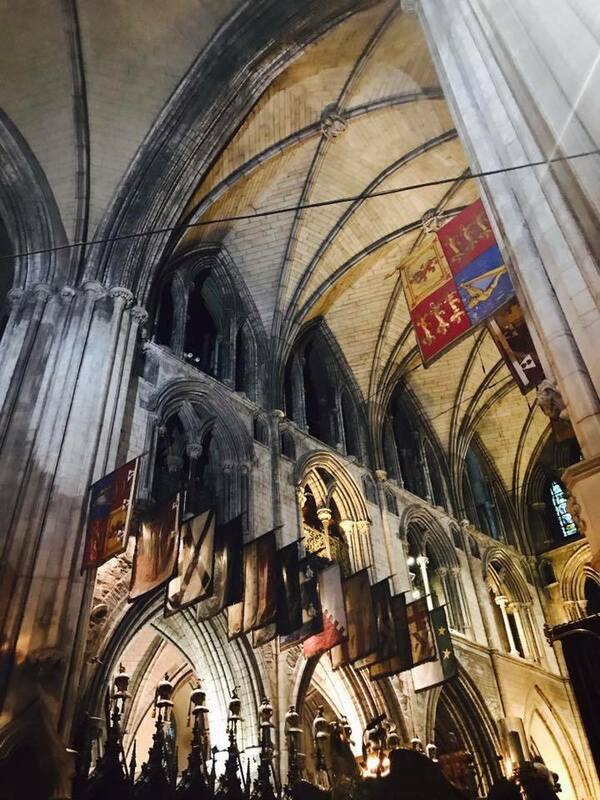 Christmas Eve – Service of Nine Lessons & Carols, St. Patrick’s Cathedral Dublin. 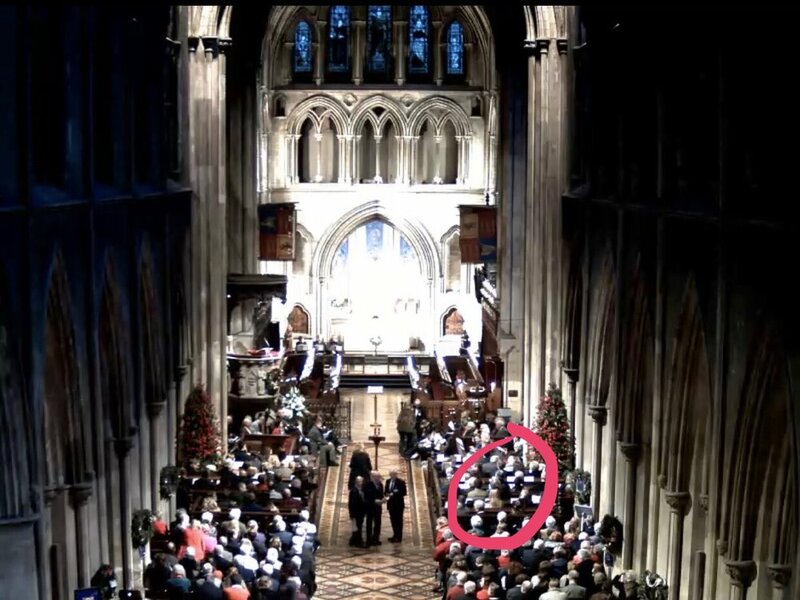 My Dad was a boy chorister in the Choir at St. Patrick’s, and I attended the Elementary and High Schools attached to the Cathedral, so a member of the Holmes family has been attending the Carol Service every year for the past 70+ years. The Service starts off with a boy soloist singing the first verse of “One in Royal David’s City” and ends with “Hark The Herald Angel’s Sing,” accompanied by drums and trumpets, and sung not to the usual tune, but a Handel tune they only have at St. Patrick’s on Christmas Eve. Many people think “Christmas is here” when we hear the first drum rolls and the first notes from the trumpets. It’s a very social church service; I see lots of familiar faces year over year so it can often turn into a lovely mini-reunion. 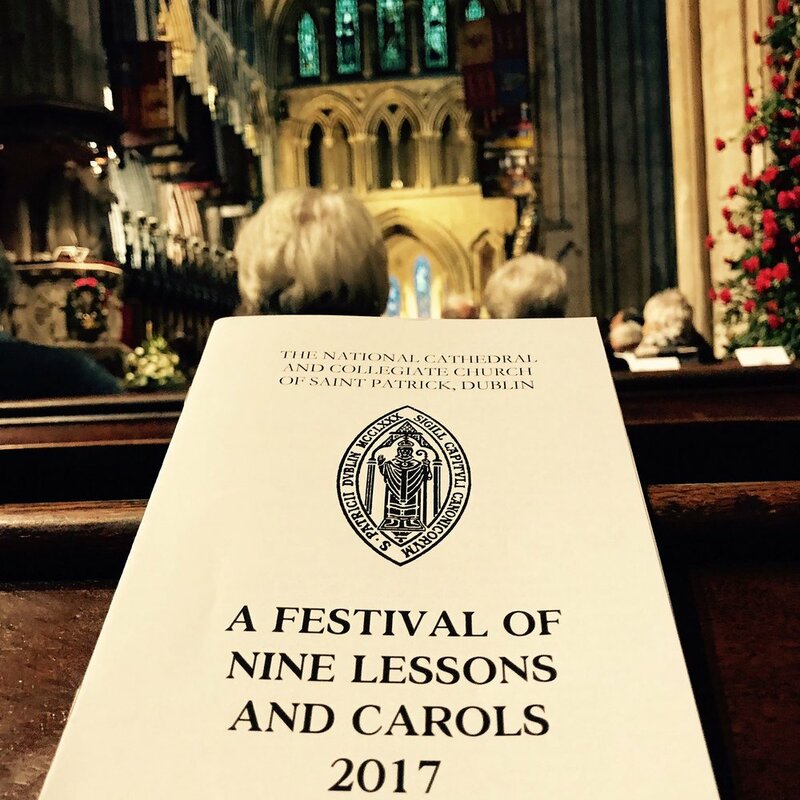 The service is broadcast on the main RTE radio station and also LiveStreamed on the Cathedral’s website, so lots of people in countries all over the world can listen, and sing along, at home. 2. Bewley’s of Grafton Street. 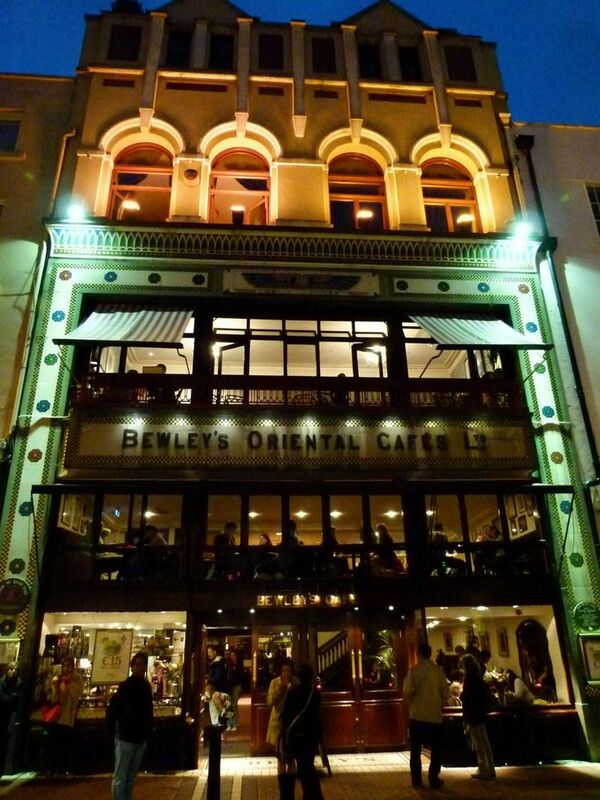 Bewley’s opened their coffee shop in Dublin in 1927, selling their amazing coffee, famous cherry buns and all manner of other delicious baked goods. 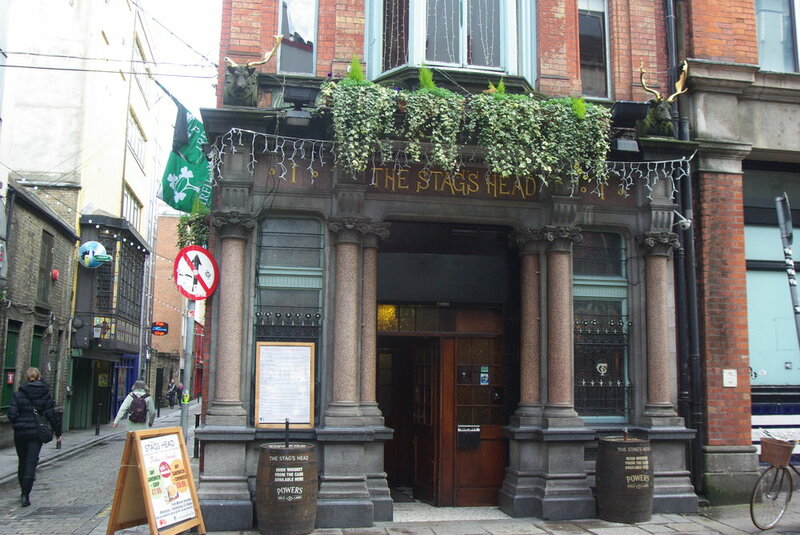 They closed to do major renovations in 2014 and reopened just before Christmas. 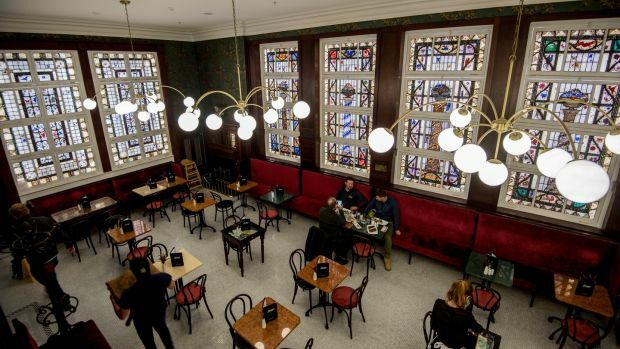 Many things changed but their kept the original and famous Harry Clarke stained glass windows, the mahogany paneling and velvet upholstered banquettes. The lines were long to get in, but well worth the wait once I got inside and smelled the very familiar and unique smell of Bewley’s Coffee. 4. 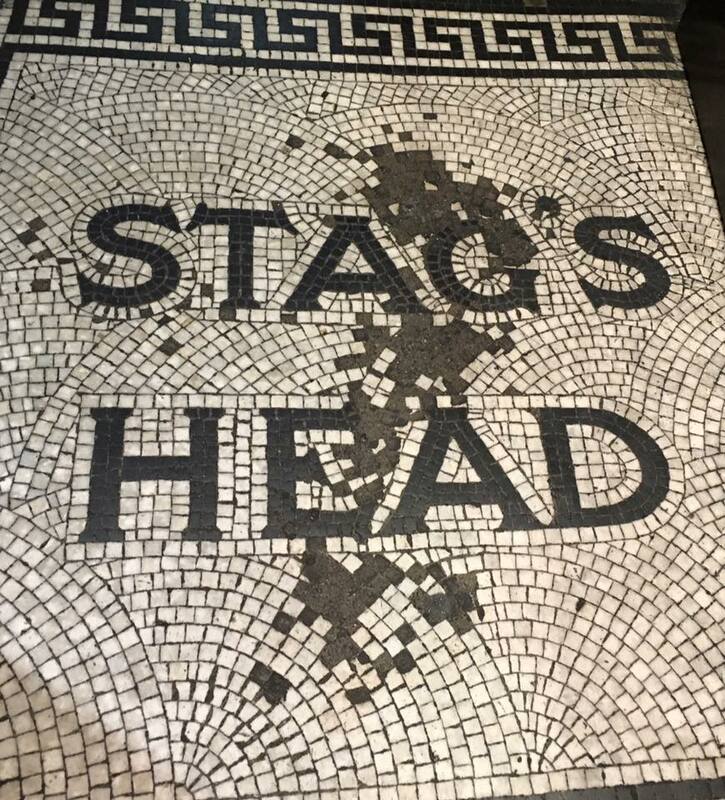 Belfast. 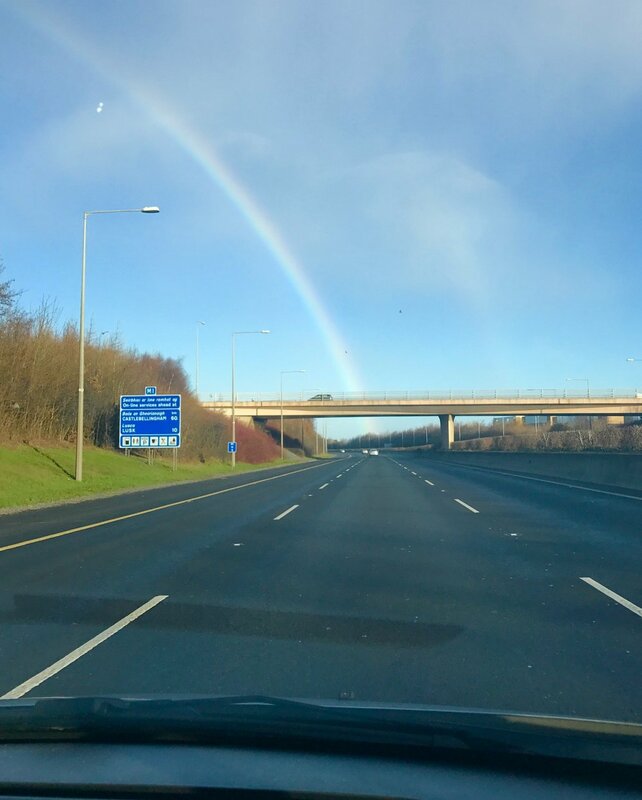 My aunt and cousins live in Belfast, so on New Year’s Eve my Mum and I took a day trip to the “wee North” for a day of cross-border shopping and some quality family time with family members I haven’t seen in a couple of years. Belfast is 100 Miles from Dublin. The drive up took me one hour and 30 minutes. At dinner there were lots of comments of “you won’t do it in the short time on the way back in the dark,” which I took as a little bit of a challenge and made it back in an hour and 40 mins, mainly because we were the only car on the road and also mainly because of some speeding. Ireland’s road signs are now in kilometers, not miles, so I’ve no clue how fast or slow I’m driving. Belfast is still part of the United Kingdom so we traded our Euros for Sterling and picked up lots of bargains! 5. The Irish Countryside. 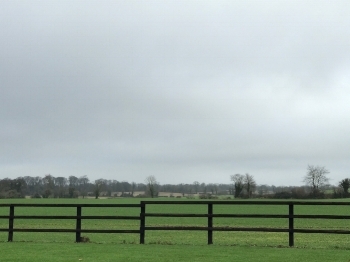 My brother and his family live in Ashbourne, Co. Meath, a short 15-minute drive from Dublin City Center. Even though it’s only 15 minutes away from the hustle and bustle of O’Connell Street, you’re suddenly in the country after about 10 minutes and you’re surrounded by green fields full of cows and sheep. 6. Newgrange. Another 30-minute drive from my brother’s is Newgrange, which was built about 3200 BC. The kidney-shaped mound covers an area of over one acre and is surrounded by 97 kerbstones, some of which are richly decorated with megalithic art. It is estimated that the construction of the Passage Tomb at Newgrange would have taken a work force of 300 at least 20 years. December 21st or the Winter Solstice is the big day at Newgrange. The passage and chamber of Newgrange are illuminated by the winter solstice sunrise. A shaft of sunlight shines through the roof box over the entrance and penetrates the passage to light up the chamber. The dramatic event lasts for 17 minutes at dawn on the Winter Solstice and for a few mornings either side of the Winter Solstice. Admission to the Newgrange chamber for the Winter Solstice sunrise is by lottery. About 130,000 applications are submitted annually. In September each year, 50 names are drawn with 2 places are awarded to each person drawn. 7. Food. 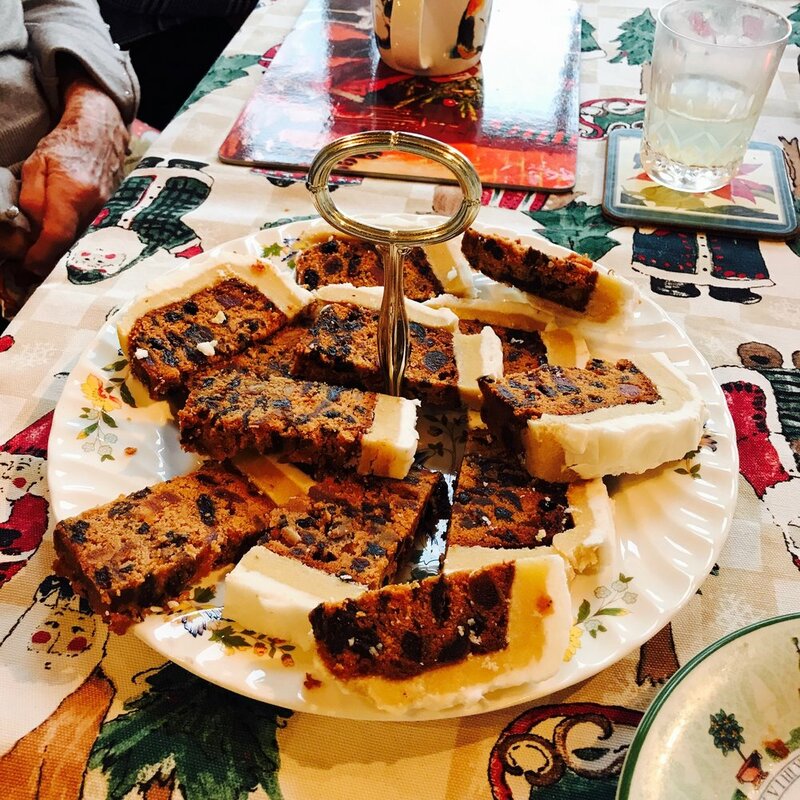 America does many things very well, but tea and chocolate are not two of them, so it’s lovely to be home to have some delicious tea and all manner of delicious chocolate..…and cake….and Tayto crisps….and Lucozade. Every bite and sip takes me back to my childhood. 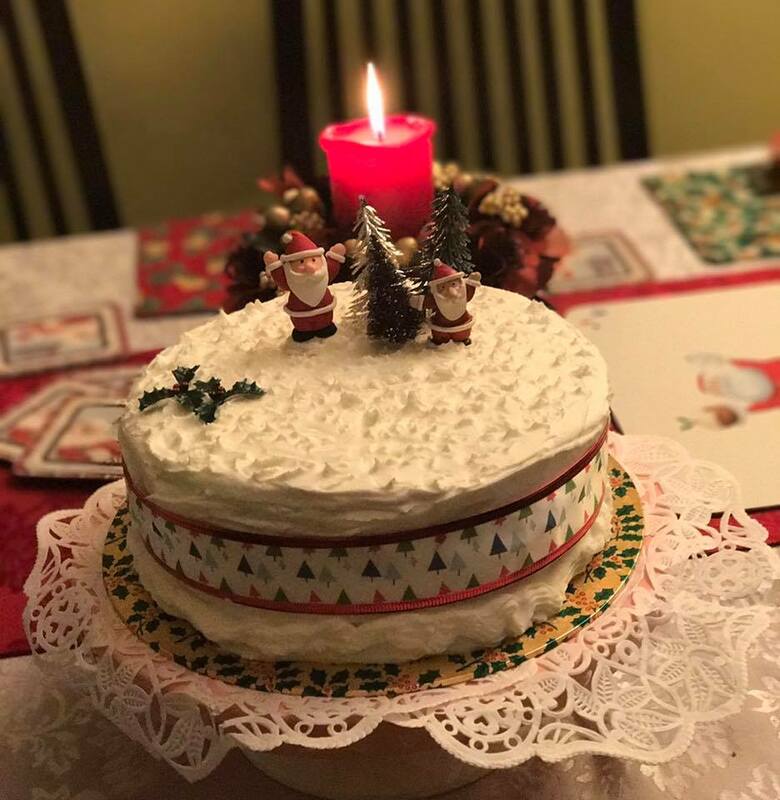 Every returning emigrant and current resident love the great traditions of Christmas Cake, Christmas Pudding, Mince Pies, Trifle and of course Full Irish Breakfasts.